WILMINGTON, Del. – Governor Carney on Tuesday signed Executive Order #25 establishing health care spending and quality benchmarks. 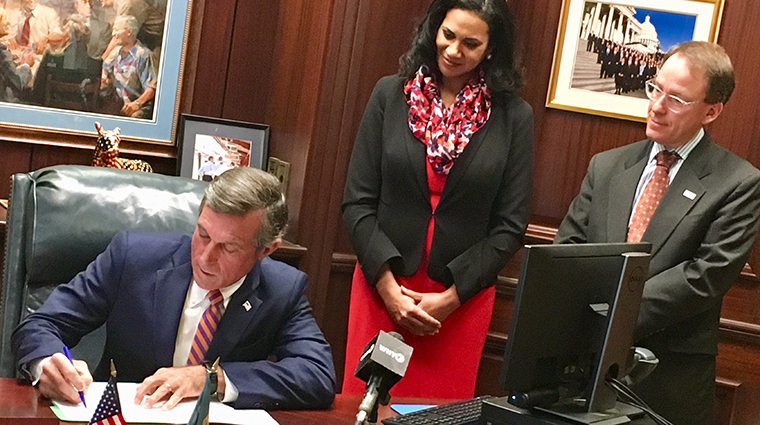 This Executive Order will form a subcommittee of the Delaware Economic and Financial Advisory Council to focus on reducing the cost of health care for Delaware families, taxpayers, and businesses. The subcommittee will advise DEFAC and other relevant state agencies on spending, and will work closely with the Delaware Health Care Commission (DHCC) on improving the quality of health care in Delaware. In addition to setting the State’s health care spending benchmark for 2019 and beyond, the new subcommittee will consistently review its methodology and provide the public and interested stakeholders an opportunity to provide input and consider their recommendations. These quality benchmarks will be reviewed every three years, starting after 2022, to reflect improved health care performance in the state. This Executive Order was based on recommendations from Secretary Walker in August of this year, after a year of outreach and feedback from health stakeholders. Secretary Walker will publish a manual that contains the methodology for the health care spending and quality benchmarks no later than January 31, 2019.